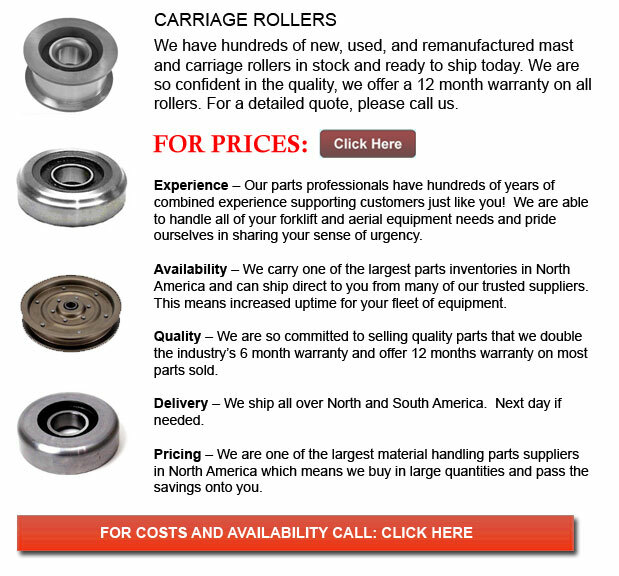 Carriage Rollers - Especially designed bearings known as carriage rollers are regularly found on lift masts as they enable them to perform better within difficult environmental surroundings. The standard lift mast is often subject to frequent oscillations, shocks, static loads, and vibrations and high dynamics. This equipment is regularly exposed to environmental influences like for example heat, dust, cold, contamination, aggressive ambient air and moisture. Therefore, the lift masts' guidance arrangements should be particularly robust and have a specific high load carrying capability. So as to help compete in numerous various environmental conditions, carriage rollers were designed for numerous lift masts. While having the ability to deal with a particularly high load carrying capacity, these bearings provided an economical operational security for the guidance arrangement of the lift masts.